Karen Hudson is a human dynamo, who is completely engaged with her students at Auburn Drive High School -- and is making a real difference in a lot of young lives. When Hudson greets students in the hallway, it's not the typical way a student might greet a principal, but Hudson isn't a typical principal and this isn't a typical-day. Hudson was just recognized by The Learning Partnership as one of Canada’s 30 outstanding principals. Some girls come up to congratulate her in the hallway. They laugh and there are smiles all around. The respect is genuine. In the sprawling hallways of Auburn Drive High School, Hudson is constantly on the move. She knows every kid and deftly handles any number of issues that crop up in the course of a day. That’s something all principals do, but it's an initiative she helped launch at the school last year that now earned her the national honour. It began with what's traditionally been a daunting problem: getting more black kids interested and engaged in higher-level math. 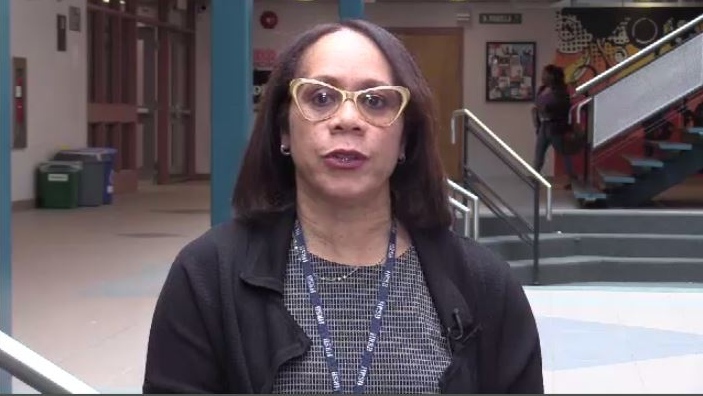 “We have to try something different to see how we can get the scores, so, we're looking at academic success, achievement -- trying to narrow that gap,” Hudson said. The solution was ground-breaking: Afrocentric math, which introduced cultural aspects to the old discipline. It was launched last fall and enrollment and grades are up already. “I think it's a fantastic idea,” said Dalhousie math professor Jason Brown, whoalong with many experts hopes the momentum carries into higher education, where African-Canadians have often been under-represented in maths and sciences. “It's enormously important program to have mathematics, meaningful and accessible to students,” Brown said. 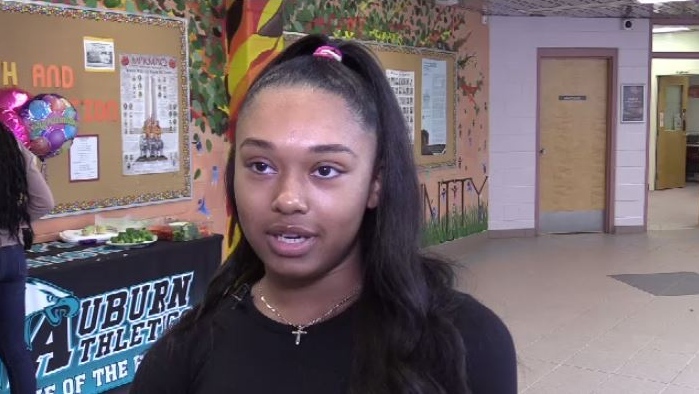 Asia Francis, a Grade 10 student at Auburn Drive, is one of the many who enrolled. “From where we were at the beginning until now, everybody has gotten a lot more confident and, like, their marks have been going up more,” she said. On a day when the school celebrates their principal being named one of the top 30 in the country, there's no end to accolades for a woman they clearly respect and genuinely like. One student comes up to her in the hallway and gives her a fist-bump. “Congratulations,” the student says. “She's the best,” another student says. Ever humble, Hudson says she's most excited about the opportunity to network with other like-minded principals across the country. In her mind, students always come first. It may not be the typical reaction, but this powerhouse is not the typical principal. One faculty member says Hudson is first to arrive at the school every day, and the last to leave at night, which is more proof she's truly one of the country's best. Hudson is one of five Maritimers recognized. The others are Colleen Sullivan of Glen Falls Elementary in Saint John, Andrew Stewart of Bloomfield Elementary in Bloomfield, P.E.I., Janece McNutt of St. Mary’s Bay Academy in Saint Bernard, N.S., and Lynn Mills of Ash Lee Jefferson Elementary in Fall River. Karen Hudson of Auburn Drive High School was just recognized by The Learning Partnership as one of Canada’s 30 outstanding principals. Grade 10 student Asia Francis is one of the students enrolled in the program. She says everybody who is taking part has gotten a lot more confident and has improved their marks.